Fast track up the political ladder, fast cars, fast women - that's Garrett McKettrick. Make that was. A scandal has brought him home to Blue River, Texas, a place where a man can slow down, take stock and plan his next move. Which doesn't include staying at the family ranch with his brothers. A city boy, Garrett doesn't think he has the land in his blood. But Blue River has other attractions, like his former high school nemesis, Julie Remington. Now a striking woman, Julie comes complete with a four-year-old cowboy, a three-legged beagle and deep ties to the community. Good thing they have nothing in common.except their undeniable attraction and a future brighter than the Texas sun. Garrett McKettrick wanted a horse under him—a fleet cow‑pony like the ones bred to work the herds on the Silver Spur Ranch. But for now, anyway, the Porsche would have to do. Because of the hour—it was a little after 3:00 a.m.—Garrett had that particular stretch of Texas highway all to himself. The moon and stars cast silvery shadows through the open sunroof and shimmered on the rolled-up sleeves of his white dress shirt, while a country oldie, with lots of twang, pounded from the sound system. Everything in him—from the nuclei of his cells outward—vibrated to the beat. He'd left the tuxedo jacket, the cummerbund, the tie, the fancy cuff links, back in Austin—right along with one or two of his most cherished illusions. The party was definitely over—for him, anyhow. He should have seen it coming—or at least listened to people who did see it coming, specifically his brothers, Tate and Austin. They'd done their best to warn him. Senator Morgan Cox, they'd said, in so many words and in their different ways, wasn't what he seemed. Against his will, Garrett's mind looped back a few hours, and even as he sped along that straight, dark ribbon of road, another part of him relived the shock in excruciating detail. After listening to TATE, the first book in the Lael Miller latest addition to the Mckettrick series of books I was just too eager for the follow up so I opted to read the next one instead and I loved it. 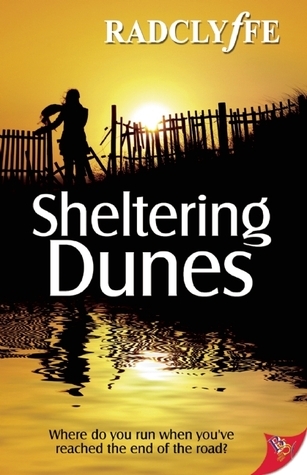 In GARRETT, the book literally picks up a few month after the first book ended and Garrett is now home on the spread – spread, yes , because that is how the small town of Blue River think of the vast lot of property that now house the McKettrick brothers, their loved ones, their animal and some derelict oil wells. Garrett is weighing up his option of what he wants to do with his life, as much as he loves the ranch and he love the work, he always had his eyes on the prize – the Senate. Now that he has found out that his hero has feet of clay he is home literally licking his wounds and unwinding with his family. Said family is now the current problem, because with his brother now engaged to his childhood sweetheart, he suddenly finds more people underfoot in his home, namely Julie and her son Calvin. Garrett has know Julie since forever and has never looked at her in a romantic light but with age comes a new appreciation for the finer things in life and Julie is most certainly one of the finest things in life. Julie Remington is about to become Garrett’s sister-in-law and as such she wants to maintain a decent relationship with him. Her libido however has another thing to say about that, but Julie is a girl that listens to the logical voice in her head, sometimes – the voice that says, he’s a player, he’s a tom cat – but I said sometimes, as she is unable to stop thinking about said player, said tomcat and before long they are locking lips every chance they get. Lael Miller does not rush these two into a romance, she gave them time to bring all their fears, their hopes and their dreams to the table and try to make it work for them. With Julie’s son Calvin added to the mix and Garrett’s sibling and nieces just a little over the ways – the family theme was one of the pluses in GARRETT. The book is not all about making nookies, something is happening on the back forty of the McKettrick spread and both brothers are concerned and a little weary of it all to be honest..
What a sweet read this was, I love the romance. I especially liked the fact that Julie’s life was not automatically incorporated into Garrett’s. Ms Miller developed on Julie’s character, gave us more info on her past while letting us see her as more than just Libby’s sister but a viable contender for Garrett’s affection. Garrett was a winner with me from the first book and his wonderful sense of humour remains the same in this book. His connection with Calvin was sweet to watch and I loved how Ms Lael Miller carved out those scenes with Calvin dilemma about his dad. The idiosyncrasies of the resident of the small town was an area that I particularly liked and I really got involved in some of the side stories that Lael Miller tossed in for a bit of clout. There was a mystery that added a few tension filled moments to the last half of the book – and while it played out nicely, the ending was a bit too easy for me. GARRETT is my second book by this author, and I am loving this series. The scenes aren’t over the top, I thought the author dealt with some real issues in here and her characters are the full package – you really can’t go wrong with this series. Loving it. I just finished reading this one and I was saving your review for when I finished reading it. And this was a great review honey!!!! You gotta love those cowboys... I even enjoyed the trailer (watched it a couple of times ~ especially the NO shirt part) at Ms. Linda's website! Have a great week hon!